For nearly three decades Ernie McCulloch’s name was synonymous with skiing in Canada as he raced against and beat the world’s best professional skiers and contributed extensively to the promotion of his sport. Born in Three Rivers, Quebec, Ernie was just four when he started to ski. When he was fifteen he was thoroughly accustomed to placing first in schoolboy jumping meets throughout the entire Three Rivers area as well as in Montreal, Quebec City and Ottawa. In Lac Beauport for a jumping meet, he entered the 1945-46 St. Lawrence Valley Slalom Championships. Placing second to a skier who was then considered one of Canada’s best, Ernie decided to make racing his career. The following winter he entered the school for instructors, graduated and joined the staff. In 1947-48 he won the Alliance course for second year instructors while training under the famous Emile Allais of France. Training hard as well as teaching, he did well in countless competitions that year and the next. It was not until 1949 that his determination began to show results. That season he won almost every race in the Laurentians, defeating the entire French Olympic Championship Team in the Quebec-Kandahar and setting the record on the Taschereau Course. Accompanying the French team to Sun Valley for the Harriman Cup Races, Ernie remained there to coach the United States teams for the coming Olympics. By the end of 1951-52, Ernie’s record was nothing short of phenomenal. The only skier ever to make a “grand slam” in four major competitions, he was called the “Grand Slam Champion” in newspapers throughout the world after winning the National Giant Slalom at Alta, Utah, the North American Championships at Aspen, Colorado, the National Downhill Championships at Whitefish, Montana and the Harriman cup at Sun Valley. The following year Ernie captured the Harriman cup again, and on his return from Sun Valley, defeated Stein Eriksen and Othmar Schneider, then the most prominent skiers in the world, in the National Downhill Championships at Stowe, Vermont. After winning almost every open-class race in the U.S. and Canada, he was polled “Skier of the Half Century” by a board of well-known sports writers. In 1950, Mary Ryan asked Ernie to come to Mont Tremblant as the head of its ski school and he devoted his energies toward building one of the finest schools in the world. 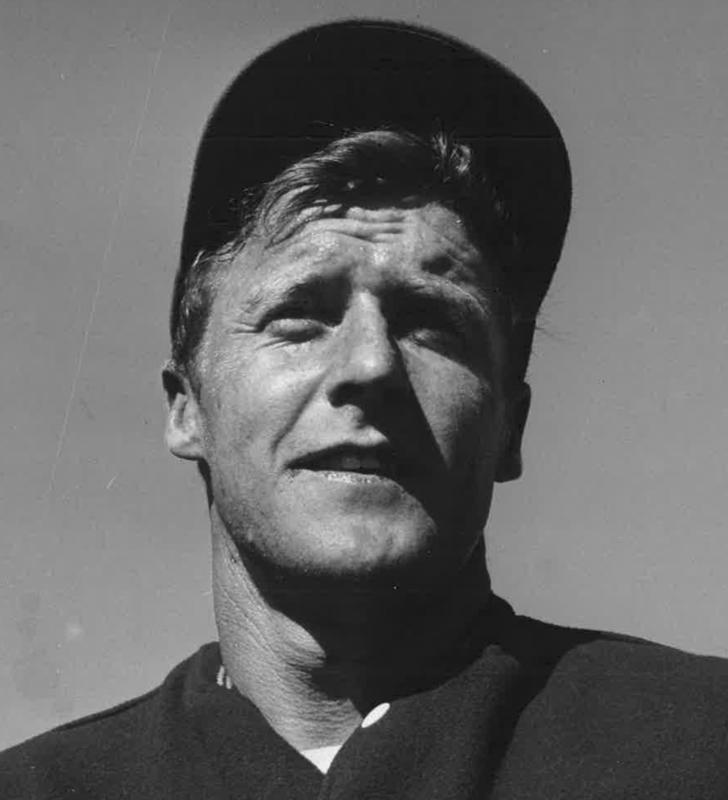 Ernie was barred from competing for Canada in the Olympics because of his professional standing but he devoted much of his time to coaching the Canadian teams and was official coach and trainer of the 1954 F.I.S. men’s team. Ernie wrote an instructional book, Learn to ski, which sold extremely well and he completed Ski the Champion’s Way, published in 1967. He made five ski movies for various film companies and made two shorts for Warren Miller. Ernie was the Chief Technical Editor of Ski Magazine and contributed several articles a year to that publication and answered questions every month for “Ski Clinic”. He was Chief Examiner of the Canadian Ski Instructors Alliance several times and served for two years as president of that organization. He also acted as chief demonstrator. In 1964, Ernie was appointed trainer and coach of the Canadian Demonstration Team which represented Canada at the World Ski Congress at Badgastein, Germany. Ernie was connected to the Toni Sailor Ski Factory I Canada as technical advisor. He spent the summer months of June and July as one of the four coaches at the well-known summer racing school at Timberline Lodge at Mount Hood, Oregon. Ernie McCulloch was elected into the U.S. National Ski Hall of Fame in 1969. If you notice any errors or inconsistencies in Ernie McCulloch's bio, click here to let us know.